As the one year anniversary of the U.S. payment networks’ EMV liability shift nears, new data released Sept. 12 from Mastercard shows that chip-enabled cards have helped reduce fraud costs for retailers and—despite some growing pains—are finally catching on with consumers. As of July 2016, 88 percent of Mastercard’s U.S. consumer credit cards are equipped with an EMV chip—up 105 percent since the network’s Oct. 1, 2015 liability shift. Merchant adoption of chip-enabled POS systems also is on the rise, growing 468 percent from the shift date to 2 million retail locations—or 33 percent of all merchant locations in the U.S..
And adopting EMV technology is helping merchants significantly reduce fraud costs. Retailers who had installed chip-enabled terminals by April 2016 saw a 54 percent average decrease in counterfeit card fraud costs compared to April 2015, according to Mastercard. On the other hand, large merchants who had not yet migrated or had just begun migrating to chip cards saw such fraud costs surge by 77 percent over the same period. Meanwhile, despite an “initial learning curve,” consumers are becoming more comfortable with EMV—and recognizing the technology’s benefits when it comes to security, Mastercard said. 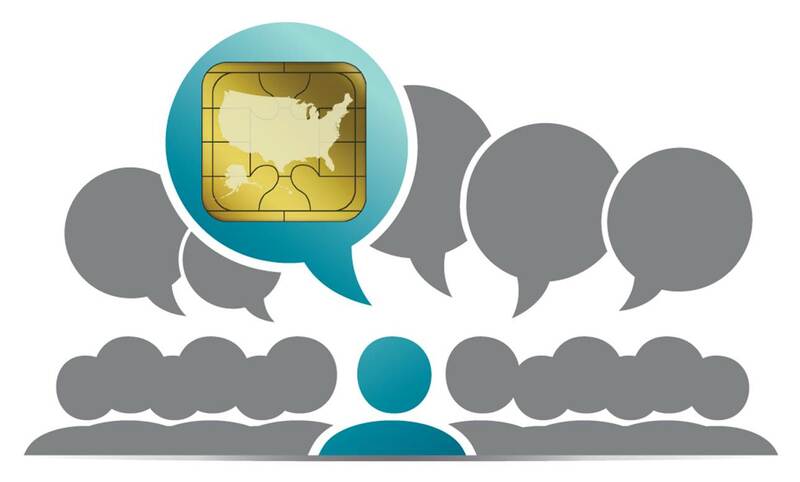 Eighty-seven percent of American adults now commonly use chip-equipped cards—up from 38 percent a year ago, according to a Mastercard-commissioned survey that polled about 1,000 U.S. consumers between June 27 and July 15, 2016. Chip-equipped cards were the most-preferred method of payment in the study, with 45 percent of respondents citing chip cards as their “go to” way to pay, compared to 18 percent for cash and 3 percent for checks. Both Mastercard and Visa have developed technology designed to make EMV transaction faster at the POS, shaving precious seconds during checkout. Faster EMV should help further increase consumer satisfaction and usage of chip cards, Mastercard said.